In Columbia, the family can enjoy a magical adventure at Shrek: The Musical or spend an evening being mesmerized by the beautiful music of the Summer Concert Series. As summer is ending, students 17 years old and under receive a free back to school haircut at Cutz for Kids. Through August 4 – “Absolutely Fabulous: The Movie” at the Nickelodeon Theater. Blamed for a major incident at a fashionable launch party, Edina and Patsy are relentlessly pursued by the paparazzi and flee to the French Riviera and make a plan to escape and live the high life forever. For more information call (803) 254-8234 or visit http://nickelodeon.org/films/absolutely-fabulous-the-movie/. Through August 4 – “Captain Fantastic” at the Nickelodeon Theater. See the challenges a father faces when he has to take his 6 children, raised in the forests of the Pacific Northwest with a rigorous physical and intellectual education is forced to leave his paradise and enter the world where his parenting skills are challenged. For more information call (803) 254-8234 or visit http://nickelodeon.org/films/captain-fantastic/. Through August 7 – The Royal Shakespeare Company: “Hamlet” at the Nickelodeon Theater. “Hamlet confronts us with the mirror or our own mortality. “ For more information call (803) 254-3433 or visit http://nickelodeon.org/films/the-royal-shakespeare-company-presents-hamlet/. Through August 7 – “Daufuskie Memories” at the Columbia Museum of Art. Photographer Jeanna Moutousammy-Ashe captured African American life on this island, which until the early 1980’s was the last South Carolina sea island untouched by the outside world. For more information call (803) 799-2810 or visit https://www.columbiamuseum.org/exhibitions/daufuskie-memories. Through August 10 – Tribal Fusion Belly Dancing at Tapp’s Center for the Arts. Learn about the areas belly dancing community and learn some key movements, learn new choreography, and create your own dances. For more information call (803) 988-0013 or visit http://www.tappsartscenter.com/event/tribal-fusion-belly-dancing/. Through August 12 – Twilight in the Gardens at Riverbanks Zoo and Gardens. End your evening with the Splash Zone, and then curl up on a blanket for a movie in the Gardens Amphitheatre. For more information call (803) 799-8717 or visit https://www.riverbanks.org/events/twilight-in-the-garden.shtml. Through August 13 – Summer Concert Series at Finlay Park. The June 4th concert will feature “Second Nature” and “Ken Knox & Co.”. For more information call (803) 545-3100 or visit http://columbiasc.net/press-releases/052320161415-free-summer-concert-series-returns-to-finlay-park-june-4. Through August 14 – “Shrek: The Musical” at the Columbia Children’s Theater. Shrek leads a cast of fairytale misfits on an adventure to rescue a princess and find true acceptance. For more information call (803) 691-4548 or visit http://www.columbiachildrenstheatre.com/shrek-the-musical/. Through August 31 – Cutz for Kids at Remington College. Students 17 years old and under qualify for a free back-to-school haircut. For more information call (803) 214-9062 or visit http://www.remingtoncollege.edu/cuts-for-kids-has-provided-thousands-of-haircuts/. August 10 – “Marguerite” at the Nickelodeon Theater. The story of a wealthy woman who sings for her husband and friends, and thinking she can really sing and decides to perform for the public. For more information call (803) 254-3433 or visit http://nickelodeon.org/films/marguerite/. August 10 – “Marvin Hunter” at the Comedy House. Come out for an evening of fun and laughter. For more information call (803) 798-9898 or visit http://comedyhouse.us/marvin-hunter/. August 11 – Give to Gain Gala at the Columbia Marriott. This black tie optional event will include free valet parking, dinner, live entertainment, as well as a silent and live auction, all to benefit the Special Olympics. For more information visit https://sosc.ejoinme.org/2016gala. August 11 – Moonlight Cemetery and Secrets from the Grave Tours at the Elmwood Cemetary. Learn about the history of the cemetery and the story of a variety of symbols on the headstones. For more information call (803) 251-1770 ext. 23 or visit http://www.historiccolumbia.org/events/moonlight-cemetery-tours?date=08/11/2016. August 11 – 14 – “Guy Torry” at the Comedy House. This successful comedic actor is guaranteed to create a must-see show that you won’t soon forget. For more information call (803) 798-9898 or visit http://comedyhouse.us/guy-torry/. August 12 – “T.C. Costello’s Return Show” at the Tapp’s Art’s Center. This musician brings “his signature sound multi-lingual, multi-instrumental folk-punk” in this return show. For more information call (803) 988-0013 or visit http://www.tappsartscenter.com/event/t-c-costellos-return-show/. August 12 – Pickin’ With the Pros: “The Edgar Loudermilk Band” at Bill’s Pickin’ Parlor. Start the evening with an open stage followed by a fabulous show with these great musicians, and bring your instrument to join in the jam session following the show. For more information visit https://www.facebook.com/events/256368638077233. August 12 – Twilight in the Garden: “The LEGO Movie” at Riverbanks Zoo and Gardens. Enjoy an evening in the gardens with your family before the kids have to return back to school. For more information call (803) 779-8717 or visit http://www.riverbanks.org/events/twilight-in-the-garden.shtml. August 12 – 14 – South Carolina Peanut Party at the Pelion Community Center in Pelion. Event will include a parade, live entertainment, food, arts and crafts, amusements, special exhibits, and of course, lots of boiled peanuts! For more information call (803) 785-3272 or visit http://www.scpelionpeanutparty.com/. 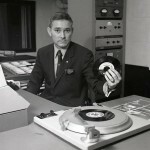 August 12 – 27 – On Air in South Carolina: Preserving Radio and Television History in South Carolina at the McKissick Museum. This exhibit introduces the history of radio and television broadcasting in S.C. and reveals the changing trends over time. For more information call (803) 777-7251 or visit http://www.artsandsciences.sc.edu/mckissickmuseum/air-south-carolina-preserving-radio-and-television-history-scba-archives. August 13 – Big Tree Hike at the Congaree National Forest. Take a hike with a Ranger to view some of the most beautiful and magnificent trees that grace this fabulous Park! For more information 776-4396 or visit https://www.nps.gov/cong/planyourvisit/event-details.htm?event=3CA8F1F2-1DD8-B71C-0753EA53B41BB66E. August 13 – By Land or By Lake- Lake Wateree Bikes & Boats Poker Run at Clear Water Cove in Elgin. There will be stops for each with all proceeds to benefit the Wounded Warrior Project (VFW Post 8346 & AMVETS Post 33). For more information call (803) 438-5363 or visit http://vfwpost8346.org/poker-run/. August 13 – Reggaetronic Lake Murray Music Festival at Spence Island on Lake Murray in Lexington. Enjoy a day at the Lake to close out your summer with this 6 band line-up and a day filled with fun in the sun all to benefit the Special Olympics. For more information visit http://www.lakemurraycountry.com/things-to-do/events/reggaetronic-lake-murray-music-festival-2016. August 13 – unknown – South Carolina and the Great War at the South Carolina State Museum. This is the opening of the exhibit and will help visitors to understand the impact the Great War had on South Carolina. For more information call (803) 898-4921 or visit http://scmuseum.org/explore/exhibits/changing-exhibits/south-carolina-great-war/. August 13 – Midlands Afterschool Programs Expo at Dutch Square Center. Learn about a variety of afterschool programs in the area as well as other after school activities. For more information visit http://www.eventbrite.com/e/2016-midlands-afterschool-programs-expo-tickets-25113943481?aff=ebapi. August 13 – Dragon Day at the EdVenture Children’s Museum. Kids will meet their favorite dragon characters, read about dragons during story time, create dragon themed craft and science projects and learn about dragons in a variety of different cultures. For more information call (803) 799-3100 or visit http://www.edventure.org/events/dragon-day/?for=08-13-2016. August 13 – 811 Run at Memorial Stadium on Holly Street. Take a run through the Rosewood neighborhood with all proceeds to benefit the South Carolina Firefighters Association. For more information call (803) 799-4786 or visit http://sc811.com/run/. August 13 – Toy Soldier Show at the South Carolina State Museum. Find exquisitely details miniature soldiers, or even the little green plastic soldiers of your childhood covering a variety of periods in history for viewing, trading, or sale. For more information call (803) 898-4921 or visit http://scmuseum.org/events/upcoming-events/. August 13 – The Upscale Affair at the Columbia Museum of Art. There will be live music and dancing, a dessert bar as well as hors d’oeuvres and drinks, so come dressed to impress. For more information call (803) 566-1210 or visit https://www.eventbrite.com/e/the-upsqale-affair-tickets-24814676365?aff=ebapi. August 13 – Summer Concert Series: “Bo Brice” at Finlay Park. This will be the last concert of the summer, and we will be fortunate to have this American Idol runner up to close out the season. For more information call (803) 545-3100 or visit http://www.columbiasc.net/calendar/1952. August 13 – 14 – Stamp and Postcard Show at Spring Valley High School. Come out and find that special stamp or postcard you’ve been looking for. For more information call (803) 466-4783 or visit http://stamps.org/cps. August 14 – Family Fun in the Garden: Fairy and Gnome Tea Party at Riverbanks Zoo and Gardens. Children ages 3 – 10 will discover, with their family, the magic of fairies and gnomes with a story, craft, and games at Waterfall Junction while enjoying tea and a snack. For more information call (803) 779-8717 or visit http://www.riverbanks.org/calendar.shtml. August 17 – Geneology: Research Your Family History at the Lexington County Library Main Branch. Learn how to research your family’s history using tools available through the library. For more information call (803) 785-2680 or visit http://www.lex.lib.sc.us/calendar.asp#/?i=1. August 18 – Navigating Through Regulatory Requirements: Starting a Business in the City of Columbia at the Columbia Chamber of Commerce. For more information call (803) 545-3960 or visit http://www.columbiasc.net/calendar/2055. August 18 – “Greenville Invades Columbia” at the Tapp’s Arts Center. Come out for this third Thursday Comedy Show! For more information call (803) 988-0013 or visit http://www.tappsartscenter.com/event/third-thursday-comedy-night-greenville-invades-columbia/. August 19 – “Backstage: A New Musical Review” at the Town Theatre. This is an original production written and produced by Charlie Goodrich about aging and acting. For more information call (803) 799-2510 or visit https://www.facebook.com/events/295118500835214. August 19 – Arts & Drafts at the Columbia Museum of Art. Enjoy beer tasting, live music, D.I.Y. art projects, interactive art, and more. For more information call (803) 799-2810 or visit https://www.columbiamuseum.org/august-2016. August 19 – A Conversation with J. Henry Fair at the Columbia Museum of Art. Listen to this native South Carolinian talk about his exhibition Eye on the Edge, which includes photographs from along the coast of South Carolina. For more information call (803) 799-2810 or visit https://www.columbiamuseum.org/happenings/conversation-j-henry-fair. August 19 – Water Balloon Battle at the Robert Mills House & Gardens. Come to a happy hour like none you’ve ever experienced while learning about battle tactics from the past, and ending the evening with beverages and light hors d’oeuvres. (Must be over 21.) For more information call (803) 252-1770 ext. 36 or visit http://www.historiccolumbia.org/events/happy-hour-at-robert-mills-water-balloon-battle. August 19 – “Rumors: A Fleetwood Mac Tribute” at the Music Farm. For all of the Fleetwood Mac lovers, this should be a great show! For more information visit http://www.musicfarm.com/event/1174829-rumours-fleetwood-mac-columbia/. August 19 – Movies in the Park: “Inside Out” at North Springs Park. Enjoy popcorn, drinks, door prizes and more! For more information visit https://www.facebook.com/moviesintheparkcolumbia/. August 19 – 27 – “Anatomy of a Hug” at the Trustus Theatre. A girl’s mother is released from prison under Compassionate Release into her care and she struggles to determine if her fictional life is safer than her real one. For more information visit https://www.facebook.com/TrustusTheatre. August 20 – Fairy House Workshop at the Columbia Art Center. Learn how to make your own fairy house! 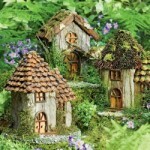 For more information call (803) 545-3093 or visit http://www.onecolumbiasc.com/event/detail/441976051/Fairy_House_Workshop. August 20 – NAMI South Carolina Annual Conference at the Columbia Marriott. This organization supports the quality of life and treatment for the seriously mentally ill and their families. For more information visit https://www.eventbrite.com/e/2016-nami-south-carolina-annual-conference-tickets-25516941860?aff=ebapi. August 20 – Jailbreak Escape Urban Challenge at the Lexington County Sherriff’s Department. This is a 3.1 mile run with obstacles and crossfit style exercises to challenges anyone who participates. For more information call (803) 785-8230 or visit http://www.jailbreaklexington.com/jailbreak-escape.html. August 20 – “Back to School Party: Kevin Flum, Dylan DeeKay, Stellis” at the Music Farm. For more information visit http://www.musicfarm.com/event/1252357-back-school-party-columbia/. August 22 – August Harvest Dinner and a Show at the Music Farm. Enjoy this Farm to Table event that will feature a 4 course meal and entertainment by “Ashes of Old Ways”. For more information call (803) 252-9392 or visit http://www.musicfarm.com/event/1162335-august-dinner-show-columbia/. August 23 – Music Break 2016: “Yo Mamas Big Fat Booty Band” & “The Marcus King Band” at the Music Farm. Come early and hear the panel discussion on what it takes to be successful in the music industry, then three bands will play for a VIP crowd consisting of individuals who may potentially hire them in the future, who will then choose one to play at the Charleston New Music Confab, all followed by the live entertainment. For more information visit http://www.musicfarm.com/event/1200459-music-break-2016-yo-mamas-columbia/. August 24 – 25 – Behind the Scenes Tour: Columbia Down Under at the Equitable Arcade Building (formerly the Arcade Mall) at 1332 Main Street. Learn about the history of Columbia’s first indoor shopping center, a series of bars, restaurants, and shops that existed between 1972 and 1974 just below the store and what the current owner has planned for the space. For more information call (803) 252-7742 ext. 15 or visit http://www.historiccolumbia.org/events/behind-the-scenes-tour-down-under-columbia. August 26 – Long’s Barstool Classic at a variety of bars in the Five Points district. See if you have what it takes to be this years Champion putt putter while enjoying specially prices drinks and food at the participating bars. For more information call (803) 748-7373 or visit http://www.fivepointscolumbia.com/events/Bar-Stool-Classic. Friday 26 – “The Dave Matthews Tribute Band” at the Music Farm. For all the many Dave Matthews lovers, come out and enjoy the show. For more information visit http://www.musicfarm.com/event/1174837-dave-matthews-tribute-band-columbia/. August 27 – Museum Road Show at the South Carolina State Museum. 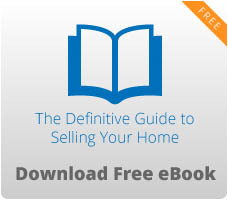 Find out what those heirlooms or yard sale purchases are actually worth. For more information call (803) 898-4921 or visit http://scmuseum.org/calendar/museum-road-show-2/. August 27 – Clarity Bootcamp at Saluda Shoals Park. Put on by the Positive Academy, this half day training is for those in need of strategies to create the type of life they want. For more information visit http://www.thepositivityacademy.com/events. August 27 – Canning and Lacto-Fermenting at Riverbanks Zoo and Gardens. Learn the art of canning and using vegetables and fruits to create sauerkraut, pickles, and jams. For more information call (803) 779-8717 or visit http://www.riverbanks.org/calendar.shtml. August 27 – “Jill Scott” at the Township Auditorium. This R&B three time Grammy Award winner will fill your evening with great entertainment. For more information call (803) 576-2350 or visit http://www.thetownship.org/events/. August 27 – Children’s Trust Benefit Gala and Auction at the University of South Carolina Alumni Center. All proceeds from this event go to help support efforts to keep children safe. For more information call (803) 744-4025 or visit http://scchildren.org/about_us/get_involved/benefit_gala_and_auction/. August 27 – Main Street Latin Festival on Main Street in downtown Columbia. Celebrate the Latin culture with great food, fun and lively music, dancing, art, and lots of fun. For more information call (803) 939-0360 or visit http://www.mainstreetlatinfestival.com/contact/. August 27 – Wine on the River at the Stone River event hall in West Columbia. Come out and support Women of Hope with hors d’oeuvres, wine, specialty beers, and music. For more information call (803) 727-8047 or visit http://www.lexmed.com/classes-events/events/detail/248/wine-on-the-river-2016. August 27 – “Sugarloaf Mountain Boys” at the Haynes Auditorium in Leesville. For the bluegrass lovers . . . come out for an evening of great fun and live entertainment. For more information call (803) 582-8479 or visit http://www.haynesbluegrass.com/. August 27 – 28 – Soda City Comic Convention at the Columbia Convention Center. This premier pop culture events brings together comics, toys, cosplay, gaming, and artists together for a fun filled weekend. For more information visit https://www.eventbrite.com/e/soda-city-comic-convention-2016-tickets-22504208694?aff=ebapi.